Bold move by German carmaker. We first heard this rumor a couple of years ago and now it appears to be happening. Porsche has officially announced that the next-generation Macan crossover will be going fully electric. The current Macan is the automaker's best-selling vehicle and the decision to drop internal combustion entirely is bold, to say the least. 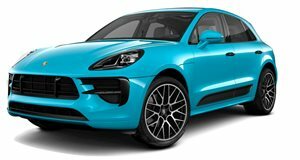 The third-generation, all-electric Macan will be Porsche's third EV, and will follow the upcoming 2020 Taycan and 2021 Taycan Cross Turismo. 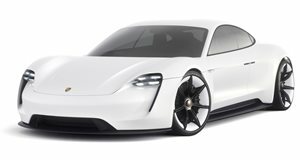 "Electromobility and Porsche go together perfectly; not just because they share a high-efficiency approach, but especially because of their sporty character,” said Porsche CEO Oliver Blume. "By 2022 we will be investing more than six billion euros in electric mobility, and by 2025 50% of all new Porsche vehicles could have an electric drive system." An all-electric Macan will better position Porsche to offer competition to the Audi e-tron SUV and Mercedes-Benz EQC, two pure electric SUV crossovers that will go on sale shortly. The third-generation Macan will once again be built at Porsche’s Leipzig, Germany factory. Porsche says the next Macan will feature 800-volt technology and will be based on the Porsche PPE architecture (Premium Platform Electric) developed in collaboration with Audi. Porsche’s parent company, the Volkswagen Group, has already committed itself to spend 30 billion euros on electrification over the next five years. The goal is for one-quarter of its sales to be all-electric by 2025 as well. 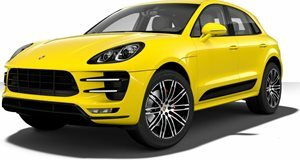 The choice of the Macan as Porsche’s third all-electric makes perfect sense. Last year, it sold 86,000 units, which is nearly a third of its total sales volume. BMW is also planning an electrified version of its popular X3 SUV, itself a direct Macan rival. Even if the next-gen Macan still offered internal combustion engines, there would no doubt be, at the very least, a plug-in hybrid variant as well as an EV. But instead of waiting to see what competitors are going to do, Porsche realized being a segment leader is the smartest way to go. No doubt this future EV-only Macan will be controversial for many but it's clear this is where the industry as a whole is heading. "Our aim is to take a pioneering role in technology, and for this reason we will continue to consistently align the company with the mobility of the future," Blume concluded.